We are also open by appointment during spring months. ​Contact us for your needs and for more information! We offer a variety of wines including Viognier, Pinot Noir, Tempranillo, Rosé, a Port-style wine, and our new Sparkling Pinot Noir--a Brut Rosé made in the traditional French style, Méthode Champenoise. You can also order our wines online . We can ship to 38 states. 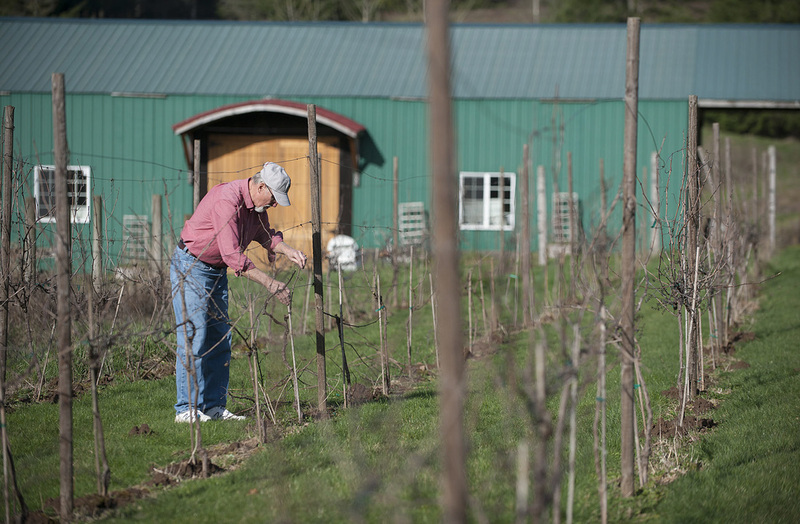 ​Rezabek Vineyards is a small artisan winery located in the western foothills of the Cascade Range. We are dedicated to making memorable, high quality wine in small lots to ensure that each batch has true varietal character and balance. Balance is the key element in fine wine. 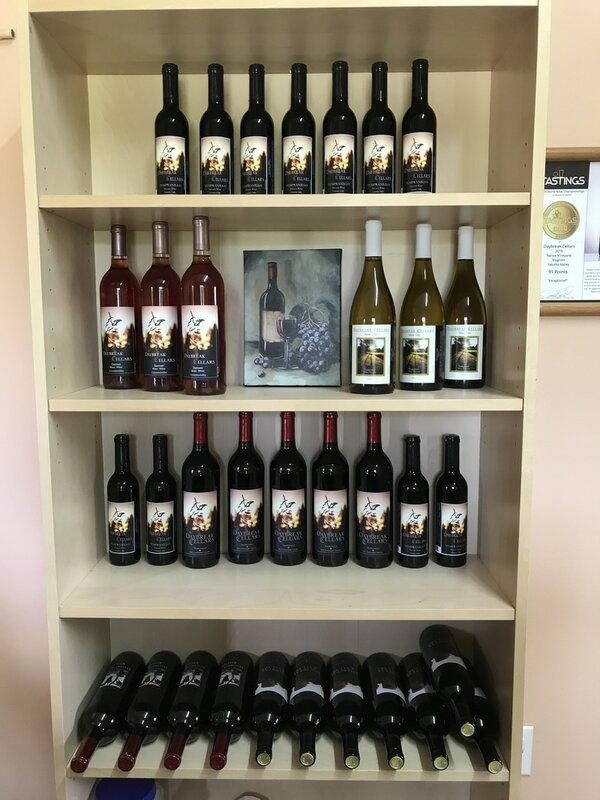 ​Our wines have won several awards, with more to come. Join us soon for a taste, a bottle or a case. ​Sign up for our monthly Newsletter here. Order Online--now shipping to 38 states! Purchase Wines Online--go to Buy and Ship Tab. 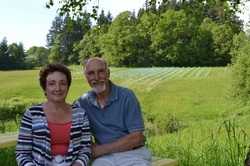 Rezabek Vineyards and Daybreak Cellars are located (about a half hour drive north of the Portland airport) on gentle south-facing slopes just north of the Lewis River in Clark County in Southwest Washington State. At an elevation of just under 400 feet, the soils are deep alluvial Hesson clay-loam brought into the area thousands of years ago by the floods from Glacial Lake Missoula. 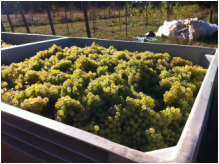 The cool moist winter climate and warm, sunny summers make ideal growing conditions for cool climate, premium wine grapes, such as Pinot Noir, Chardonnay, Sauvignon Blanc among others. 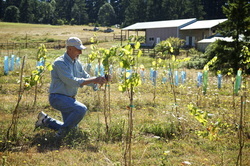 The vineyard land at one time was home to a Blueberry Orchard and before that, a dairy farm. Our first crush was in 2012. We now offer a variety of wines including Chardonnay, Viognier, Pinot Noir, Tempranillo, Rosé, a Port-style wine, and our new Sparkling Pinot Noir--a Brut Rosé made in the traditional French style, Méthode Champenoise.